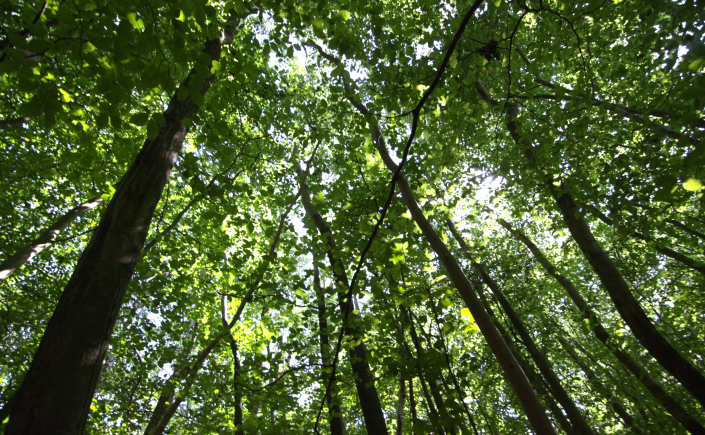 During the campaign at Wytham Woods, a short video was produced to provide some background to the campaign and the project as a whole. Beatriz Fuster Ochando of EOLAB measures the fraction of absorbed photosynthetically active radiation. 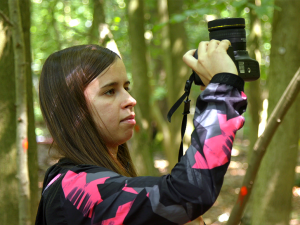 Following the Las Tiesas campaign earlier this summer, scientists from the National Physical Laboratory (NPL), University of Southampton and EOLAB travelled to Wytham Woods on 3rd July for the second campaign of the FRM4VEG project. The team was also joined by Dr. Mukunda Dev Behera, an Associate Professor visiting from the Indian Institute of Technology (IIT). Located near Oxford, England, Wytham Woods is a prime example of semi-natural woodland, and has been extensively monitored over the past 75 years. The site consists of a variety of hardwood and softwood species, including ash, beech, hazel, oak and sycamore. 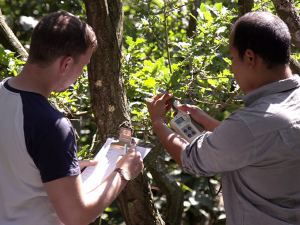 Harry Morris and Julio Pastor-Guzman of the University of Southampton measure canopy chlorophyll content. On the first day of the campaign, airborne hyperspectral data were acquired by the Natural Environment Research Council (NERC) Airborne Research Facility (ARF). 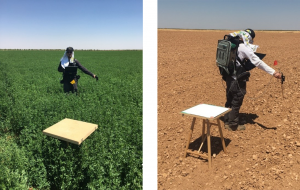 During the flight, a range of measurements were carried out on the ground to enable the effects of the atmosphere to be accounted for. The highly detailed data provided by the instruments on-board the aircraft will be used to evaluate a range of upscaling approaches. 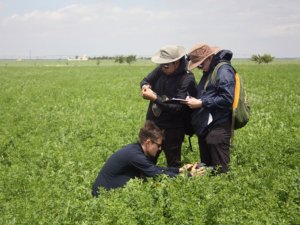 Throughout the rest of the week, the team focussed their efforts on measurements of the fraction of absorbed photosynthetically active radiation and canopy chlorophyll content – key parameters for describing the health of vegetation. 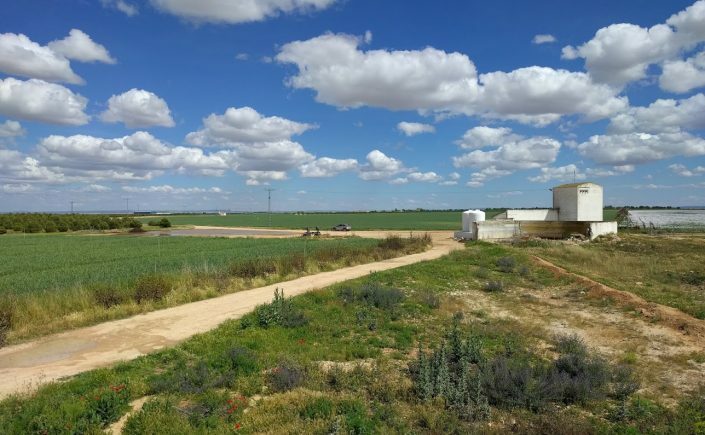 The sampling strategy, which was based on that adopted at Las Tiesas, was modified to enable measurements of both the forest understory and overstory. 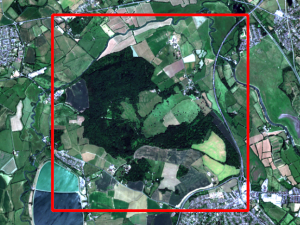 Sentinel-2B MSI true colour composite acquired on 29th June (site shown in red). 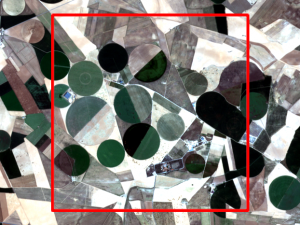 Contains modified Copernicus Sentinel data 2018. Over the course of the campaign, a total of 42 elementary sampling units were characterised, although the logistical issues associated with sampling leaves in forest environments meant that measurements of canopy chlorophyll content were restricted to 25 of these. 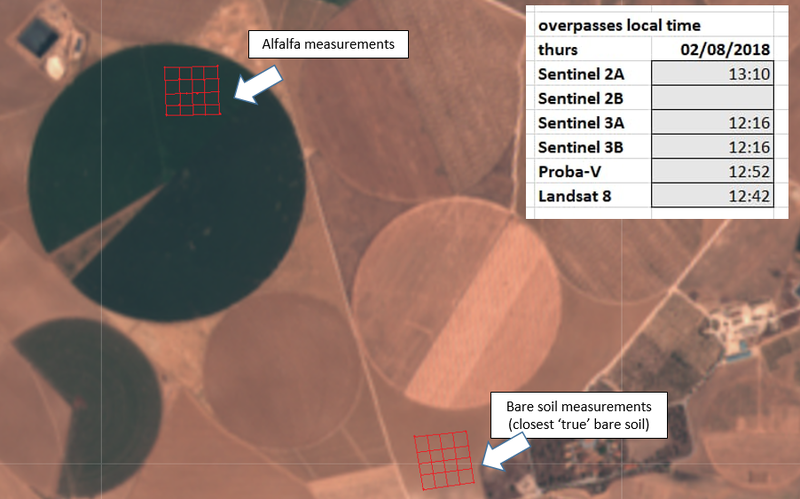 Cloud-free conditions were experienced during overpasses of Sentinel-2 and -3, meaning the data collected during the campaign can be fully exploited for product validation. A further campaign is set to take place later in the summer, in which measurements of surface reflectance will be conducted. These measurements will make use of an unmanned aerial vehicle (UAV) to access the top of the canopy. 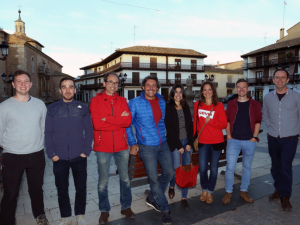 The kick-off-meeting was successfully held on 15th March 2018. The campaign readiness review will be held on 23rd May 2018.